Today’s young people face life-threatening challenges on a daily basis – substance abuse, neglect, poverty—the list is far too long. If our youth are to grow up and become productive citizens of society, they need a place where they can be just kids. They need caring adults to help them develop the skills and self-confidence to say no to dangerous pastimes. 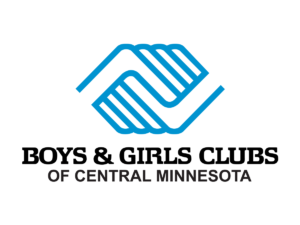 Boys & Girls Clubs of Central Minnesota offers that – and much more. As the nation’s fastest-growing youth service organization, Boys & Girls Clubs serve more than 4 million young people, in grades K-12. Throughout our history, we have always held a special concern for the youth who need us most. Our comprehensive youth development programs and services provide young people with the skills to overcome their challenges and become responsible citizens and leaders. Your investment in Boys & Girls Clubs of Central Minnesota helps guarantee a strong future for our community’s young people and our nation. We invite you to invest in America’s future. The choice is yours, but the rewards are shared by everyone – especially the children who need us most. These items are always needed to replace used equipment and to maintain quality programs at the Boys & Girls Club units and KIDSTOP sites. Thank you for supporting our community’s young people. Planned Giving is a highly personal way to invest in the future. By developing a thorough estate plan with your financial advisor or attorney, you can reduce the overall tax burden of your estate while providing a lasting legacy for Central Minnesota’s children. At the Boys & Girls Clubs of Central Minnesota, we welcome the opportunity to discuss your plans with you and your financial advisors. We also have literature available that outlines the major types of planned giving vehicles and the financial advantages each can offer within an overall estate plan. We invite you to become a member of our Legacy Circle, a special group of donors who are giving shape to their dreams for Central Minnesota’s future generations through endowments, estate gifts and bequests. Read more about Planned Giving and Our Legacy Circle here. The Boys & Girls Clubs of Central Minnesota is helping today’s youth develop strong decision-making skills and a sense of direction and purpose. These vital skills will enable youth to make intelligent decisions as they begin to identify more strongly with their peers than with other adults in their lives. The goal-setting skills, behavior habits and attitudes they develop at this juncture will determine whether they succeed or fail in school and ultimately in life. The professionally trained staff of the Boys & Girls Club provides positive programs to facilitate youth in their development and help them make appropriate and satisfying choices. Partners for the Future is an opportunity for members of our community to help the Boys & Girls Club achieve our mission to inspire and enable all young people to realize their full potential as productive, responsible and caring citizens. Read more about our Partners for the Future sponsorship program here. The Boys & Girls Club’s KIDSTOP after-school child care program ensures that, in those crucial after-school hours, participating children are in a safe place with professional caring adult staff and volunteers. Every day, children are able to channel youthful energy into challenging pursuits through our five core program areas: Character & Leadership Development, Education & Career Development, Health & Life Skills, The Arts and Sports, Fitness & Recreation. Unfortunately, too many children haven’t been given that opportunity. Nationwide at least 8 million children are left unsupervised after school. For these children, after-school hours are the most dangerous, because this is when children are most likely to commit or become the victim of crime. For many others, the afternoon hours are simply a period of idle and wasted time, when opportunities to be mentored and academically challenged are squandered. You can add a little magic to their lives by sponsoring a child to attend KIDSTOP. Your $1,500 sponsorship will enable a child to attend after-school KIDSTOP for an entire school year. KIDSTOP is open every day from school dismissal until 6 p.m.
Each school year, the Boys & Girls Club has provided at least 150 KIDSTOP scholarships, but there are still so many children whose lives would be changed by a quality after-school program. In fact, we know that we could serve at least 100 more kids with your help.